Over the last ten or fifteen years, aesthetic medical technology has grown at an explosive rate. A scientific approach to skin care that includes prevention and maintenance, in addition to treatment of the damaging effects of sun exposure, now allows us to achieve results that were not previously possible. We can now also provide pre- and post-operative treatments which speed recovery and improve surgical results. For any given aesthetic concern, there are both medical and surgical enhancements that are possible. Additionally, treatment options are also available which are less invasive than surgery, but more invasive than typical medical spa treatments. Botox™ injections for facial wrinkles and lines, collagen injections for lip enhancement and softening of deep folds and creases, laser treatment of facial veins and rosacea, and non-invasive laser collagen remodeling for permanent improvement of fine wrinkles. This explosion in medical aesthetic technology has resulted in a market that is literally flooded with new products, devices and procedures all claiming to be the 'latest and greatest' or the 'next big thing'. A great deal of dedication (and caution!) is required to sort through all of the new (and often not so new) technology that is marketed simultaneously to aesthetic professionals and to the public. We take great pride in 'separating the wheat from the chaff', so to speak, and in offering only those treatments which we feel are safe, reproducible, and not associated with prolonged 'downtime'. A true medical spa thus combines pampering spa treatments with medical-grade skin care treatments and products that provide visible results. As a plastic surgeon, I believe wholeheartedly in the importance of a professional, scientifically-based skin care regimen. In my California practice, I frequently referred surgical patients to local medical aestheticians in order to prepare their skin for surgery, and to maintain the health and vitality of the skin following surgery, facial resurfacing or other procedures. 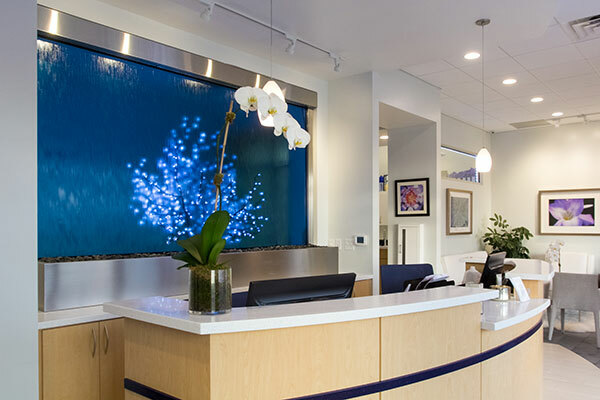 In my new practice, we have fully integrated the aesthetic surgery office and medical spa. The advantage of this approach is that all of an individual’s aesthetic needs can be met in one location, where the combined expertise of the surgeon, nursing staff and medical aestheticians is used to determine the most appropriate treatment plan for each client. Please pay us a visit at Blue Water Spa and see for yourself!